I am sorry to report that Fernando de Ansorena died on the 4th February, after a courageous battle with cancer. He was a regular visitor to Southwick, playing in our AC tournaments, latterly the Seniors’ and in the European Championship. We enjoyed his company last year at one of our themed dinners, together with his wife Pilar and son Fernando. Several of our members have enjoyed his hospitality in Jerez, where he helped to found one of the first croquet clubs in Spain. 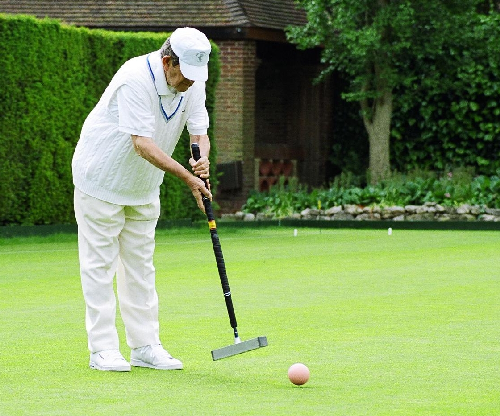 Croquet has lost a colourful character  we will miss him.